They are in the news every day. These hospitals don't exist to treat you but to profit from your misery. I have been fleeced twice. Doctors and departments are set targets that are reviewed every 15 days. As Dr Arun Gadre points out, even sham surgeries are performed; the skin is opened and stitched up. Dead patients are kept in ventilators to inflate bills. As per a Govt investigation your bills anyway don't reflect services rendered as medicines and supplies not prescribed are also included. The medicine shop within the premises has medicines with inflated prices marked on them. These are not exceptions but the norm. The sufferings of patients exceed all limits. A doctor friend of mine who works in the ICU says it is wrong to think patients in coma do not suffer. The constant flow of tears from their eyes is an indication of extreme pain within that is not expressed due to immobility. It is common for healthcare workers to be on antidepressants as they are forced to work against their conscience. I would appeal to them to stop working in such hell holes. 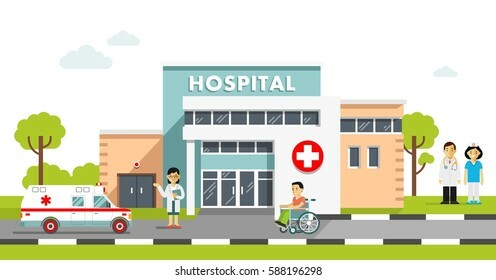 The world would be much better without hospitals that are traditionally notorious for deaths due to medical errors and hospital acquired infections. It is sad that even small nursing homes are no longer honest and have adopted all the practices as they have allowed themselves to be sucked into the corruption cycle. Commissions on referrals are today demanded as a right and those who resist are threatened. Medical associations actively support and encourage the corruption for obvious reasons and the system ironically depends on them to deliver judgments in consumer cases. Affected people are waiting for an earthquake that will take down the entire system.